There has been widespread concern over newly introduced levies on social media access and mobile money transactions in Uganda, which are widely considered a threat to internet access and affordability, as well as to freedom of expression and access to information. 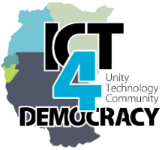 The effects of the taxes that took effect on July 1, 2018, were the focus of discussions at a recent stakeholder dialogue organised by the Collaboration on International ICT Policy for East and Southern Africa (CIPESA) and the Internet Society Uganda Chapter. At the dialogue, entrepreneurs, journalists, lawyers, activists, technologists, and academics shared their perspectives and experiences, resulting in a set of recommendations to the government on alternatives to the current modes of taxation. The government says the taxes are needed so as to expand the country’s tax base. In the 2018/2019 national budget speech, the finance ministry estimates that up to UGX 486 billion (USD 131 million) could be collected annually by 2022 from taxes on social media Over-The-Top (OTT) services. However, presenting early results on an ongoing study on the impact of the taxes, Dr. Christopher Stork of Research ICT Solutions stated that the country’s rural-based users of social media and mobile money will be hardest hit by the taxes, increasing the percentage of the unconnected and resulting in decreased revenue for telecom/ internet operators. He said this would ultimately lead to reduced growth in the gross domestic product (GDP) and hamper job creation. This study’s preliminary results affirm earlier contentions, such as by the After Access researchers, that those who marginally afforded internet services before the taxes were introduced are likely to now find internet use totally unaffordable, thereby increasing the percentage of the unconnected. Meanwhile, Dr. Abdul Busuulwa, Executive Director at Community Based Rehabilitation (CBR) Africa Network, said whereas social media and mobile money platforms had eased the lives of persons with disabilities (PWDs),However, the increased cost of accessing these platforms due to the new taxes had reversed these gains. He said platforms like WhatsApp were helping in disseminating critical information among people with hearing difficulties before the added cost of using social media rendered them unaffordable to members of these groups, who he said already faced challenges in finding employment and often relied on financial support from others. The impact of the taxes on the use of online platforms for civic engagement on local governance was described by Samuel Mumbere, ICT Officer at the Kasese District Local Government in Western Uganda. According to Mumbere, whereas introduction of the taxes had prompted a rise in the use of Virtual Private Networks (VPNs) by community members who needed to maintain avenues of social accountability and access to information in the district, many were concerned about the additional costs related to data usage by some VPN products. On the access to justice front, the online legal knowledge and support platform, Barefoot Law, was cited as a social media-based service that had enabled citizens to access legal support and services which the poor are often excluded from due to financial constraints. Such platforms are also threatened with reduced use by citizens due to the taxes. Those in e-commerce cited barriers to accessing their clients, and reduced competitiveness of their products and services, due to the taxes. The Managing Director of Jumia Uganda noted that the company’s work with some 3,000 different sellers, 1,000 hotels, and over 200 restaurants had experienced strained operations as their operations relied greatly on social media. Although the mobile money transactions tax is under review, with a new bill tabled before parliament proposing to reduce the tax from 1% to 0.5%, this does little to address the impact the tax will still have on financial inclusion. Feminist and writer, Edna Ninsiima, highlighted the role that mobile money has played in empowering unbanked women. She said the new transaction fees are affecting the financial independence of women – including building a savings culture – where it had been growing steadily. Meanwhile, Kojo Boakye, Public Policy Manager, Access and Connectivity, Facebook, cited the counter impact of the taxation on digital dividends including efforts to extend connectivity and broadband penetration. He questioned the likelihood of the tax raising the projected revenue, adding that the tax could also have an impact on the investment decisions of investors in infrastructure. In 2017, Facebook, in partnership with Airtel Uganda and Bandwidth and Cloud Services (BCS) Uganda announced a USD 100 million project to lay nearly 800 km of fibre optic cable in north-western Uganda. Like Facebook, Google has also worked to extend connectivity in Uganda with infrastructure investments including a wifi project in the capital, Kampala. Overall, participants at the dialogue pointed out that the taxes are not only discriminatory in nature but also disenfranchise already marginalised and vulnerable communities including PWDs, women, youth and rural communities. They called on the government to reassess its position on the taxes without inhibiting growth in ICT usage and innovation. The dialogue was also introspective with many noting that more proactive and collaborative efforts should be pursued by non-state actors, especially research and participating in consultative policy processes, to enhance informed decision-making by the government.